The AAMCO Franchise kicks off the New Year on a high note with Entrepreneur magazine naming us once again to its prestigious annual Franchise 500 list. The Franchise 500 list is widely regarded as the preeminent franchise ranking system. This year the esteemed business publication compared more than 3,000 franchise systems on the merits of brand equity, franchisee support, growth potential and other factors. We’re pleased to announce that AAMCO jumped 152 spots on this year’s list, and there are several reasons to explain our climb. 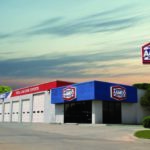 In recent years, AAMCO has become one of the most forward-thinking auto-repair franchise systems. Our executive team has invested significantly in an industry-leading training platform, new technology to help simplify our proven business model and a series of initiatives to help capture a larger share of the $64 billion automotive repair market. 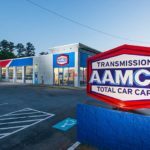 As a result of these efforts, AAMCO has become a wise investment for entrepreneurs with or without any experience in the auto repair industry. 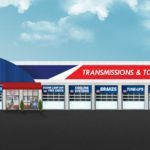 More existing franchisees than ever before are reinvesting in their second, third and fourth AAMCO centers, and that’s a positive reflection that our efforts are working. With nearly 650 centers across North America, AAMCO is actively seeking single and multi-unit operators who are passionate about the brand and committed to providing the highest-quality service. Interested candidates should have a minimum net worth of $250,000 and liquid assets of at least $65,000 per unit. Depending on the real estate site selected, franchisees can expect the total investment to be approximately $226,300 to $333,500, with a $39,500 initial franchise fee. Reduced franchise fees are available for honorably discharged veterans.